Can I cancel my monthly agreement? Yes, you can cancel your monthly pass. Please note that there is a £30 fee for cancellations made within the first 12 months of your agreement. To cancel, please complete the form at www.triyoga.co.uk/discover/agreements at least 20 days before your next billing date. Did you know that you can also suspend your agreement? You can put your agreement on hold for either 30 or 60 days within a 12 month period. It’s the best option if you are not able to attend triyoga for a month or two, but would like to continue your practice when you return. 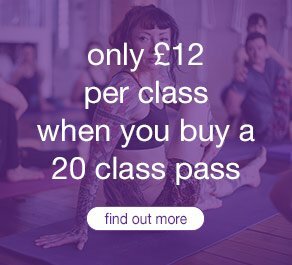 To suspend, please complete the form at www.triyoga.co.uk/discover/agreements at least 20 days before your next billing date. Can I put my monthly or annual pass on hold? Yes, you can put your agreement on hold for up to 60 days in a 12 month period. Holds must be for either a full 30 or 60 days, and if you pay monthly, the hold must start on your regular billing date. We need 20 days’ notice to process your hold request – if you would like to request one, please complete the form at www.triyoga.co.uk/discover/agreements.